You jam to Taylor Swift’s Shake it Off, Indigo Girl’s Closer to Fine and P!nk. I must say that ever since my days as a camp counselor, this has been my dream. In fact, I’ve put off going camping with my family because I can’t play the guitar. It’s not like I haven’t tried… I have. I bought a book. But all that happened was I got bored and had very sore fingertips. Until about a week ago, when Fender Play contacted me about doing a post with them. Honestly, I thought after so many failures, no one could teach me how to play guitar. But, they have a 30-day free trial so what’s the downside? Plus, I could do these lessons literally anywhere! 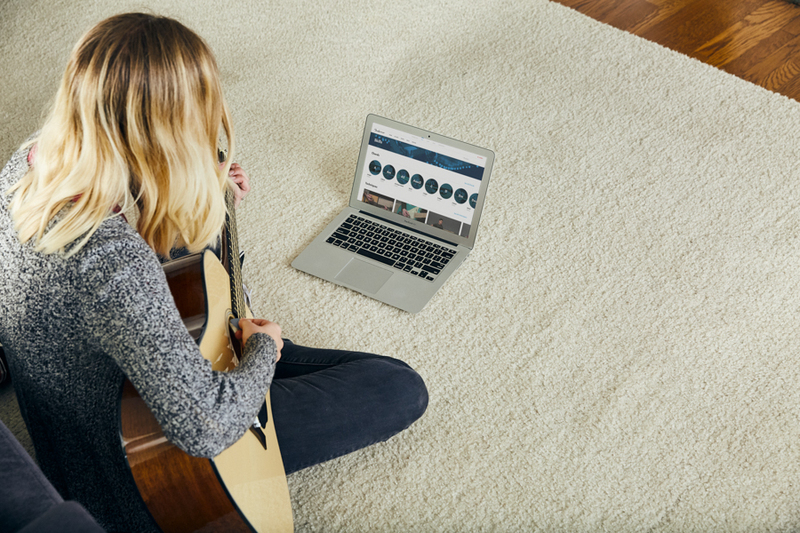 And no other major brand offers online guitar lessons like Fender. 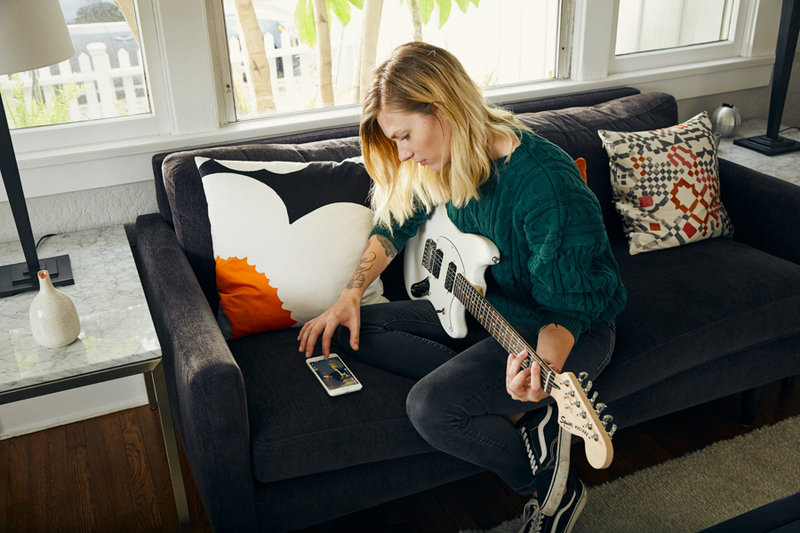 I took my husband’s Fender guitar off the rack, sat down with my cell phone and got to work. The program has different tracks to choose from. And since I want to learn to play Maroon 5, I chose the pop track. What I noticed immediately is that each lesson was in really short, bite-sized 10-12 minute videos. This was perfect because with my kids, 2-4 minutes is about all the alone time they will let me have. 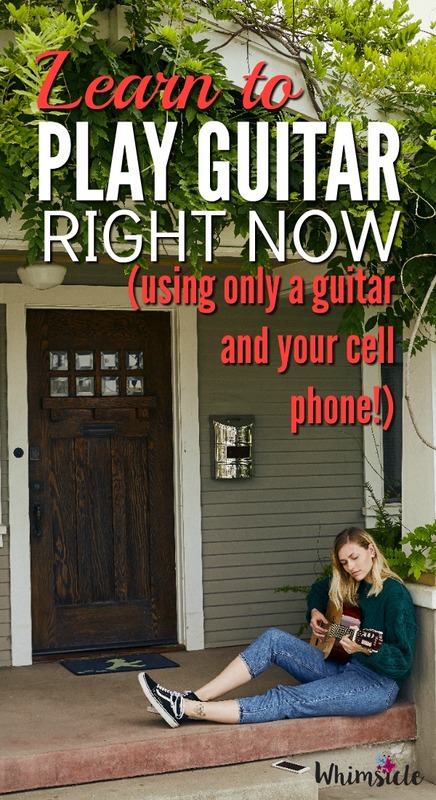 I took my phone outside and watched my kids throw yellow tennis balls against our garage as I sat and practiced guitar. And guess what? I can now play my very first rift! 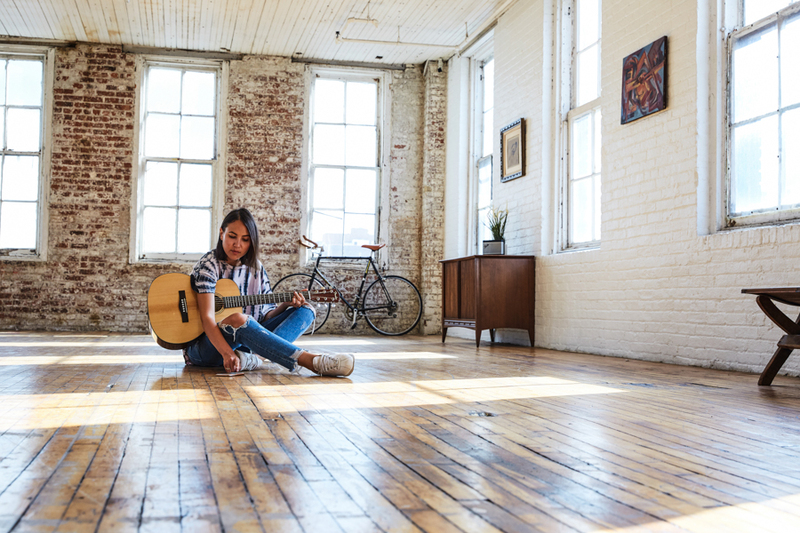 That’s because Fender Play has a song first music approach that teaches you the basics, then chords, then rifts. I’ve never been able to do that on a guitar before! The book I bought before was so focused on theory that I never actually played. But Fender Play had me playing that rift in 2 days. And you know with that success, all I want to do is play more! In fact, I’ll be asking for a Fender Play gift card this Christmas so that I can continue learning to play. Hopefully, by next summer I’ll get my dream of playing guitar by campfire. 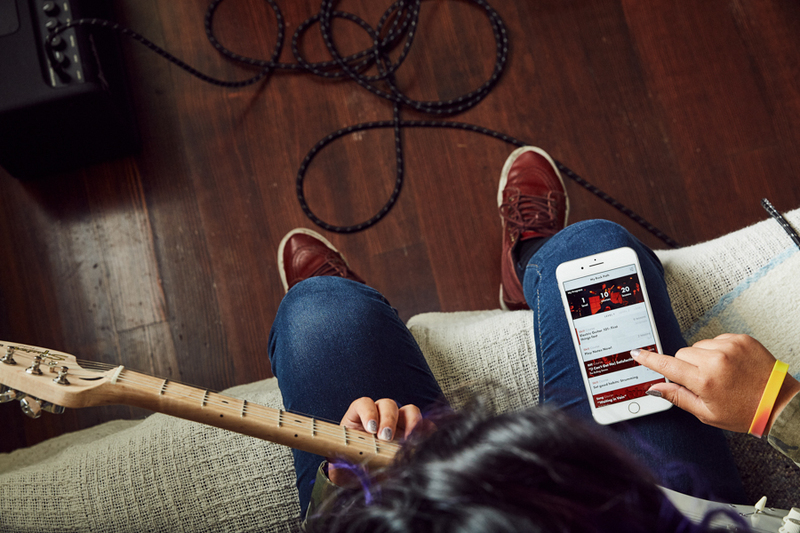 If you have this same dream, or know someone else who might, check out Fender Play HERE. They have gift cards available for 6 or 12 months of lessons that would make the perfect holiday gift!